El pasado 1 de marzo, el Consejo Asesor del proyecto Horizon.Ib 2012 inició la colaboración en línea a través de la plataforma Wiki. Durante esta primera semana, los miembros del CA revisarán la selección de lecturas aportadas para orientar el debate en torno las posibilidades de las tecnologías emergentes para la educación superior en Iberoamérica. Pregunta de Investigación 1: ¿Qué tecnologías emergentes serán más importantes para la enseñanza, el aprendizaje o la investigación creativa en los próximos 5 años? Pregunta de Investigación 2: ¿Qué tecnologías clave no están incluidas en la lista? Pregunta de Investigación 3: ¿Qué tendencias van a tener un impacto más significativo en la forma en que las instituciones de educación superior enfocan su misión básica de enseñanza, investigación y servicio? Pregunta de Investigación 4: ¿Cuáles cree que van a ser los retos clave relacionados con la enseñanza, el aprendizaje o la investigación creativa a los que tendrán que enfrentarse las instituciones de educación superior en los próximos cinco años? Pregunta de Investigación 5: ¿Cuáles cree que van a ser los retos clave -- en su propio país -- relacionados con la enseñanza, el aprendizaje o la investigación creativa a los que tendrán que enfrentarse las instituciones de educación superior en los próximos cinco años? Tras esta fase de trabajo on line, la cual se llevará a cabo durante el mes de marzo, el CA procederá a la votación de las tecnologías emergentes, así como los retos y las tendencias asociados a estas, en la educación superior en los países de Latinoamérica, España y Portugal. Muy bueno el post. Muchas gracias por compartir contenido como este. 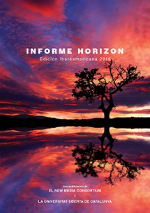 Enhorabuena por las tareas realizadas por el proyecto Horizon.Ib 2012. Son dignos de mención. Yo creo que podemos cambiar la pregunta 2 x otra. No estuve mucho de acuerdo con todos los puntos, pero dale el tiempo, eso tiene valor. They provide each and every beneficiary alternatives to their client so that they may receive the best of the alternatives from them. Warehouse assistance is meant for those who need to keep their useful items in protected and protected identify for a while. Almost all the Movers and Packers offer with the factory assistance. They provide it for lengthy as well as short time of your energy and effort. They charge accordingly for the same. Packaging for a shift is focused on planning. The more organized you are the more successful your shift will be. And if the packaging is for a big move then they guide like the true friends in moving. If you are packing for relocation with whole belongings of yours so we will suggest you with the most effective ways to handle up with it in an ordered way. Organization in packaging will help you in spotting items at the desired destination effortlessly as well as will prevent you from loosing control in any of the products of yours. I am very happy to read your great content. Nice, Reading something informative out from your website. Thanks a lot. Qué tecnologías clave no están incluidas en la lista? IT industries list in Hyderabad. best photo editing apps to edit and share photos using ..
very interesting post thanks ..
CA shall proceed to vote of emerging technologies, as well as challenges and trends associated with these, in higher education in Latin American countries, Spain and Portugal. nice,, Thanks for sharing. . I must appreciate the way you have expressed your feelings through your blog!.. nice.. I must appreciate the way you have expressed your feelings through your blog!.. mm,, nice.. I must appreciate the way you have expressed your feelings through your blog!.. mm,, very interesting post thanks .. This post was really nice and informative, thanks a lot. Thanks for the marvelous posting! I genuinely enjoyed reading it, you may be a great author. I will be sure to bookmark your blog and will often come back someday. I want to encourage continue your great writing, have a nice afternoon! Wow! This could be one particular of the most useful blogs We have ever arrive across on this subject. Actually Great. I feel very happy to land on this beautiful web page. Thanks for your great information. Wow really iam impressed after seen this blog..i learn more and more from your blog..thank you for sharing such a kind of information. Thank you for sharing this excellent blog..really its very interesting.. The RDF CCK module allows site administrators to map each content type, node title, node body and CCK field to an RDF term (class or property). By default, RDF CCK will create local classes and properties for all your content types and fields which will be exported at node/*/rdf. The version 2.x of RDF CCK uses the RDF external vocabulary importer module (evoc) to map your local Drupal data model to external RDF terms. This post really offers inspirational information, which is also to an extent very educative. This is a very nice post, a page that makes the reader learn more and new things. I have learnt a lot about projects, thank you for sharing. android app deals to get your favourite apps. That was an excellent post and I have enjoyed reading it. I have been able to find new arguments on the subject matter of the article that were different from my own arguments and I have learned a lot. I will be recommending this site to clients who are accessing Professional Dissertation Revising Help from our writing firm. Danke, dafur dass Ihr jeden Tag mit uns die Hl. Messe gefeiert habt, fur all die Reparaturen im ganzen Haus Friv 2018 Friv 2019 fur Euere Bereitschaft Friv 10 Friv 20 Friv 2 immer zur Verfugung zu stehen Geometry Dash Twizl Twizy Twizl Danke, dass Sie Ihr Muhen um den Aufbau des Leibes Christi mit uns teilten.